Istanbul Travertine Quarries P/L is a long time established supplier of the finest quality Turkish travertine and limestone. We own several quarries in the Denizli and Silvas areas, which are the heart of the travertine quarry regions here in Turkey. We export to a select group of companies all over the world, USA, UK, CHINA and AUSTRALIA. We have been very select on which companies we will supply and in some countries we supply only 1 or 2 reputable stone companies. Istanbul Travertine Quarries and our partners have a GREEN approach to the extraction process. We have always endeavored to produce a high quality product, whether Travertine or Limestone and export it to The World at a value for money price. We have also been VERY selective in our choice of partners to whom we supply our products. The retailers of our products have been vetted to ensure that they are industry leaders, reputable and have similar philosophies as ours. We have always endeavored to quarry our travertine and limestone with as small an impact on the natural environment as is possible. We use the latest technology in machinery both at the quarries and in our block processing factories. Once a quarry has been exhausted of travertine or limestone we hire enviro scientists and naturalists to regenerate the area back to matching the surrounding natural landscape. ONE OF ITQ‘s TRAVERTINE QUARRIES IN DENZILI. 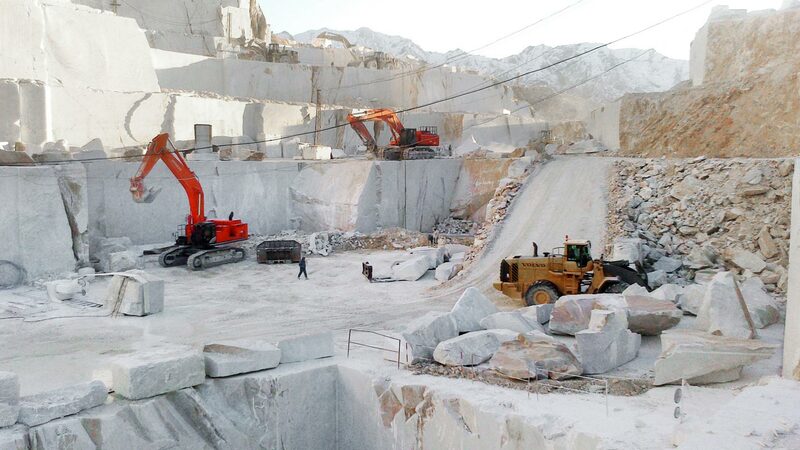 Production is at full swing in our travertine quarry in Denizli in central Turkey. We produce our world famous IVORY/WHITE Travertine from this quarry. The blocks are transported back to our factories in Izmir to be sliced into slabs and tiles. Stone & Slate Discounts PL having been established since 1986 are one of Australia’s oldest established natural stone companies. We hunted high and low for a supplier of high quality travertine and natural stone from the Middle East region. We feel privileged to be one of only a few companies in the world to sell ITQ’s natural stone. Wickes are the UK’s No.1 supplier of natural stone pavers and tiles. We supply travertine tiles and pavers along with pool edge coping EXCLUSIVELY sourced through ITQ, whom we believe to be the finest travertine supplier from Turkey. We feel privilidged to be the ONLY natural stone retailer/wholesaler in the U.S to distribute ITQ’s Travertine Tiles and Pavers. After all they are by far the PREMIUM supplier of natural stone from the Far East region.